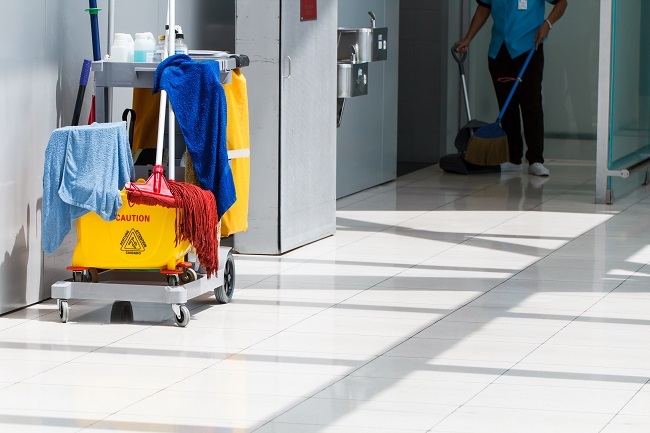 If you’re trying to find a commercial office cleaning service that you can trust, you may have noticed a disturbing pattern. Lots of companies start off doing a great job, but then something happens. You suspect that they’re starting to slack off, and you’re probably right. Take a look at this common scenario, and what you can do about it. Why do some office cleaning companies tend to go downhill after the first few months? Think about your daily commute to work or any routine task. When you do the same thing over and over, your actions become automatic so it’s easy to start to overlook the details. Plus, some companies may put a lot of effort into getting new contracts and making a good first impression, but they’re less attentive to the clients they already have. How can you turn things around? Make sure your office cleaning service performs regular quality control inspections and performance audits and provides a management team that cares. For example, we schedule monthly quality inspections so we can spot issues and resolve them promptly. That way your offices stay clean and sanitary for your employees, customers, and guests. If you have any concerns, you can always speak with a manager 24/7 and receive a same-day response to any inquiry. Overall, you can spend more time on your business instead of having to follow up with your cleaning company or shop around for a new service. For consistently high-quality cleaning and effective communications, contact us at Alpine Building Maintenance & Supply. We have been serving clients in the Fort Worth area since 1978, and we can make your life easier too.